A unique opportunity awaits you. 4 levels of living, 25 min from Boston. 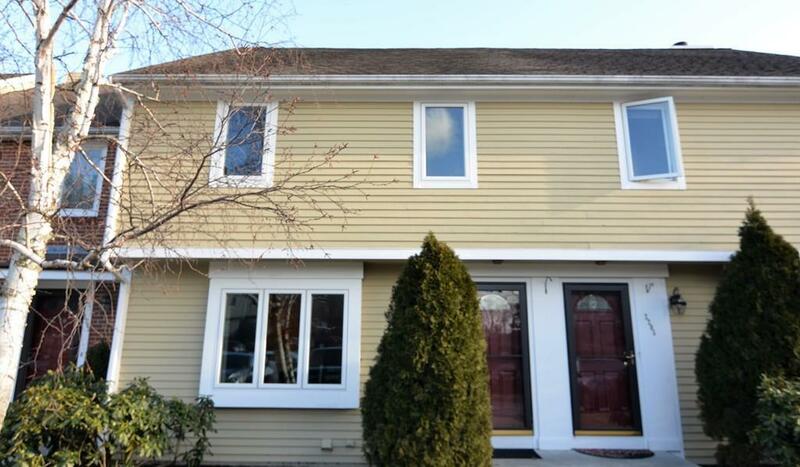 This is a beautiful, spacious, 3 bedroom, 2.5 bath townhouse. Master bedroom has his and her closets and an attached bathroom. Third floor oasis with custom window seat can be a third bedroom or study/playroom. Family room, 3/4 bath and laundry are in the walkout basement. From your private elevated deck of the kitchen. dining room, you'll enjoy panoramic vies of a serene wooded setting. Lots of recent updates make this unit move-in ready - all new energy efficient windows, sliding doors and front door, new dishwasher, and new water heater. 2 deeded parking spaces and ample parking for visitors. Sheffield Height has onsite property management that meticulously maintains the grounds, including snow removal. You'll enjoy country club style living with access to a pool, clubhouse, and 2 tennis courts. Easy access to route 1, I-93, I-95. shopping, restaurants and more. Open House: Sat, Feb 2, 12-2; Sun, Feb 3, 11-1.